Supercross, the disc and … something else! 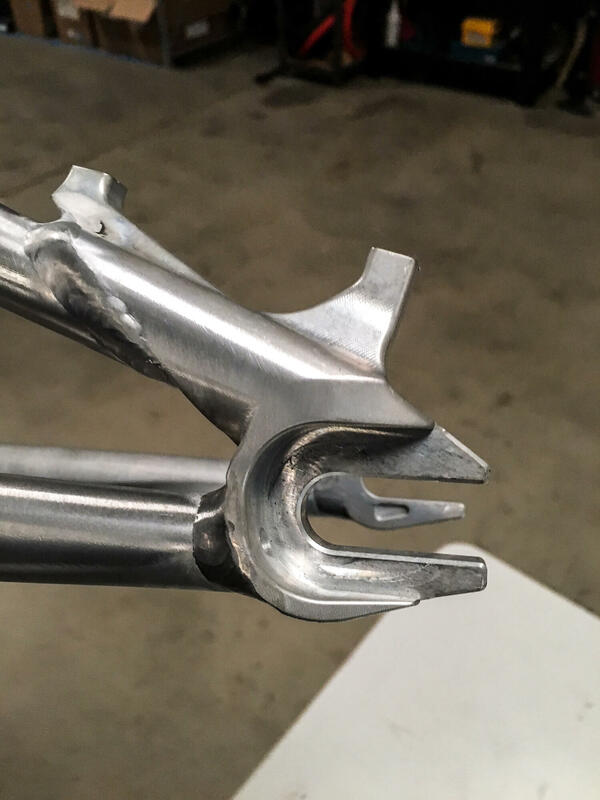 Not prone to sitting on his laurels, Bill Ryan over at Supercross BMX is looking at the Disc Brake, as we’re sure most of you noticed on their social media feeds. And not just a bracket adapter but a modification to the already stunning RS7 … if you’re going to do it, do it right! But don’t hold your breath, if Supercross are going to do this, and we believe they will, it’s going to have to tick all of the stringent Supercross boxes. “I have seen what other companies are doing and how the adapter and conversion companies are doing it, and so far, I don’t see anyone solving the biggest problem in the disk brake market … which is the ease of customer use. A lot of people have sited that the disc is dangerous, which it is, it’s a Stainless-Steel blade spinning at high speed next to lose fingers in an accident, we have all seen what the spokes and the chain can do. Guess what, the disc can do worse, but that is not my biggest concern. Next if you are in a race and someone crashes into the disc in a turn down a straight … and your disc gets bent, guess what, race over. If your rim bends, the V-brakes may grab, but it will still spin. On the disc, if it bends, the tolerance is so tight on the pads, that it will not clear the caliper. So, the race is done. People have also sited that the disc set up is heavier than the V- brake which is true, but you can make a lighter rim if needed with a disc as you don’t need the brake track on the rim. So that washes out. WHEN the disc specific rims are made. People also say that the hydraulic brakes are a pain to bleed etc … Truth. 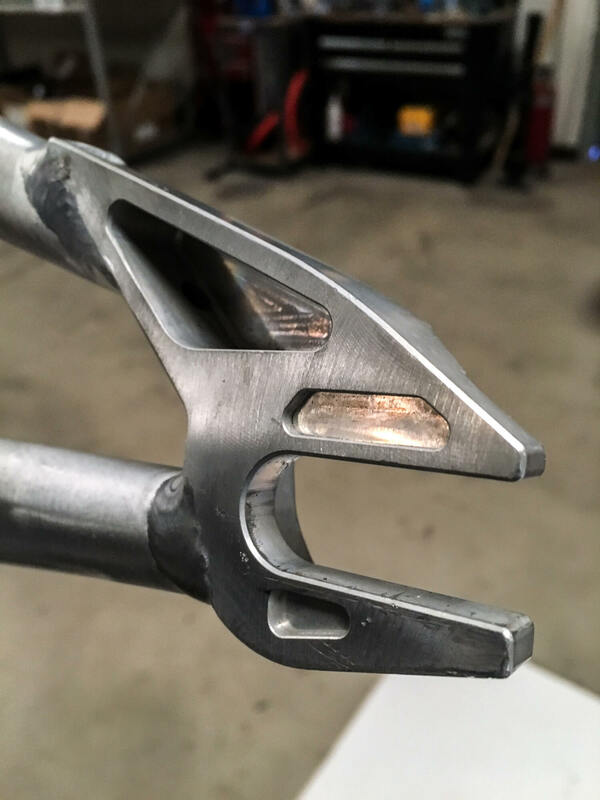 No question about it, but most BMXers will want to find a high-quality cable activated set up as the cable activated ones are lighter at the lever assembly and easier to set up. But the biggest issue I have seen is watching people change a tire with a disc brake BMX bike. On the MTB it is simple drop the wheel down, change the tire and Click the wheel back up into the fixed position. The derailleur takes up the chain slack and tension, the biggest thing I have seen, is professional mechanics trying to get the wheel back on in the same spot after a quick wheel change. 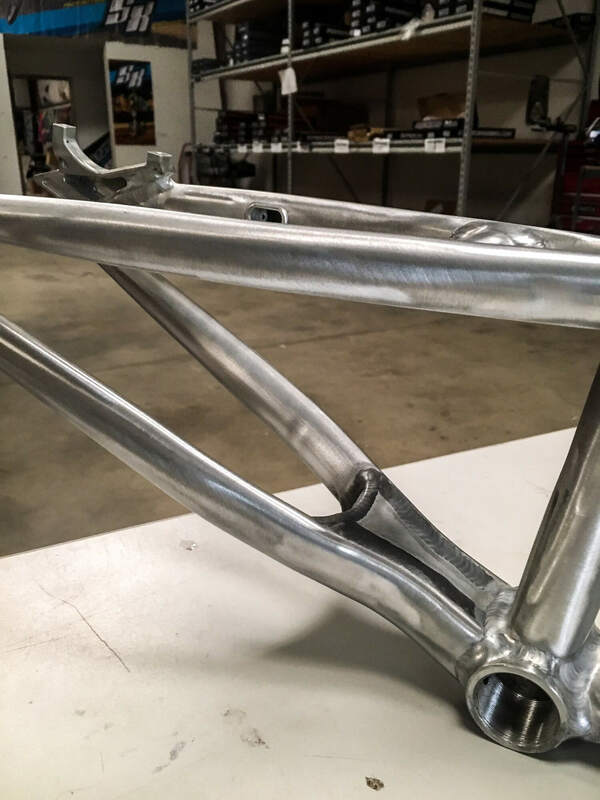 The BMX dropout is a sliding axle, it is adjustable to take up chain slack, and if your chain stretches and you need to pull the wheel back, your disc is not lined up properly. Or if the wheel is slightly off centre, the disc binds and drags. Wheel pulls forward a little bit, then the disc drags and binds. The only one I saw that properly addressed this was the Meybo fixed rear axle. That was awesome. But now you have a fixed rear axle length, which is a common thing on a road bike or MTB, but BMXers, we are a disagreeable bunch and trying to agree on the proper C/S length, is it 15” is it 15.25” is it 14.75”, you try to get them to agree. I like my wheel forward, I like my wheel slammed. But aside from the detriment of a fixed axle, you now have an Idler Pulley / Chain Tensioner, which creates more drag. And in BMX we are looking for the least amount of drag, the least amount of resistance. So that is a second issue that takes away from that idea. And why … so you can run a disc. Bill Ryan … “we already have the 20” (406) wheel size, the 451 for the little kids, the 507 cruiser, the 520 mini cruiser, do we really need a 451 OS20 for the adults? It means new frames, new rims, (luckily forks fit) new gear ratios, ugh…. Mikey Day tested it, wasn’t a fan, Sam tested it, wasn’t a fan … or so it seems. I don’t know, it is almost 1/2 way between class and cruiser. But cruiser died, no one rides cruisers.